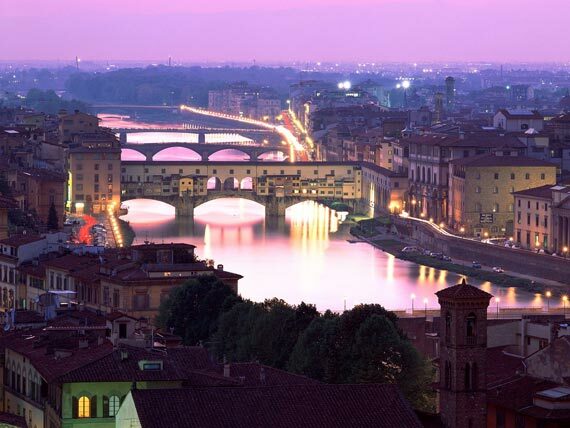 Home » Flavours Blog » Are you ready for La Notte Bianca in Florence? Are you ready for La Notte Bianca in Florence? The rainy season is officially over and the sunshine in Italy is there to stay. What does that mean for Italians? Correct – it’s time to celebrate! 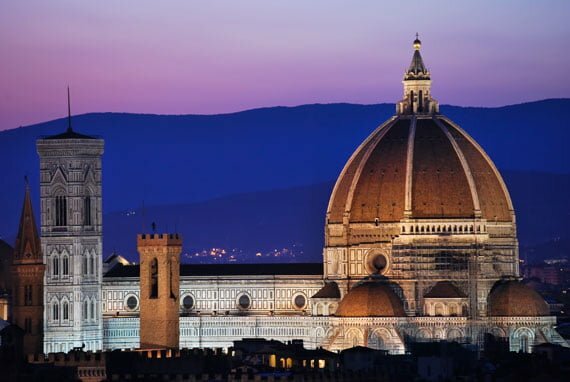 Today is “La Notte Bianca” in one of Italy’s most beautiful and historic cities and one of our stunning destinations on a short-break cooking holiday in Tuscany: Florence. What happens during the “white night”? To understand what’s going on in Florence tonight, we should explain what a “Notte Bianca” means all over Italy. As you might have figured; a white night refers to the start of lighter and longer days in spring and indicates that visitors won’t sleep during the late hours. 2015 marks the 5th edition of the “White Night” in Florence and it is truly an event to be looking forward to! Firenze will be buzzing all night long with concerts, cultural talks and street performances scattered around all over the city. Even shops, museums and restaurants will stay open until late at night. Food stalls will be gathered around in many squares of the city. From jazz to blues, funk, rock and rap – music can be heard from everywhere as soon as the sun goes down. The main point of celebration will be the Piazza Signoria; but plenty of live acts and performances can be encountered in every other surrounding square and area. La Notte Bianca is an outside festival in the streets of Florence so everyone can join the festivities without paying a penny! If you are lucky enough to be in the la bella Firenze today, enjoy the activities that carry on until the sun rises again. And don’t worry about an early start. The next day is May Day – an Italian national holiday – so the Florentines can sleep in the next day! Of course, Tuscany has much on offer all year round and there are plenty of other street fests and cultural events planned for the upcoming summer season. Soak up some Tuscan atmosphere yourself and join us on one of our Tuscan cooking short-breaks this year! For those more interested in the arts, you can also check our painting holidays or tone up with a revitalising Pilates holiday under the Tuscan sun. To find out more, simply download our online brochure here. It’s your turn! Have you been to a Notte Bianca in Italy before? Or, would you like to find out more about cultural events and festivals? We can’t wait to hear what you have to say – leave your comment below and let us know all about your experiences!